Want to know how it’s done? You’ve come to the right place. By the time you’ve read this tutorial, you’ll have your eBook up for sale on Gumroad and linked from your own website. In half an hour’s time, you’ll be ready to take orders for your book. Ready to make some money? Let’s go! 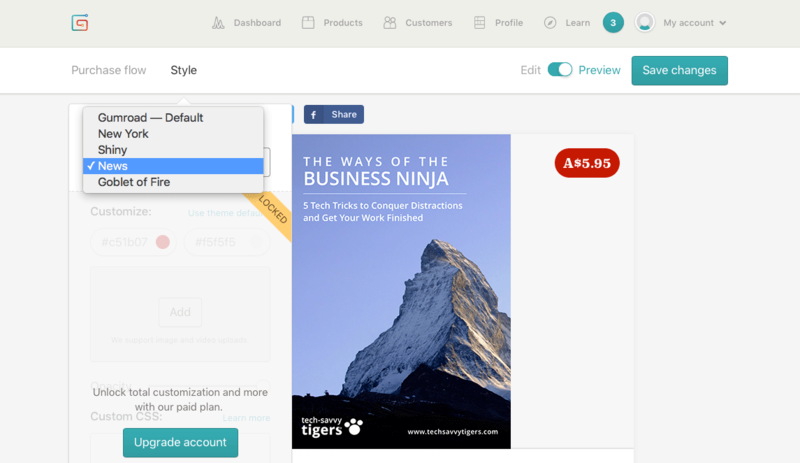 Gumroad makes it ridiculously easy for anyone to sell eBooks and other digital products. It handles the entire sales process for your eBook, from secure payment through to digital delivery of your PDF file and depositing the proceeds into your bank account. So all you have to worry about is what to spend your earnings on! Pay the VAT to the tax authority in the country you registered with. Needless to say, this can be a major pain in the backside, especially for the solopreneur or small business. Fortunately, with Gumroad, this isn’t a problem at all. 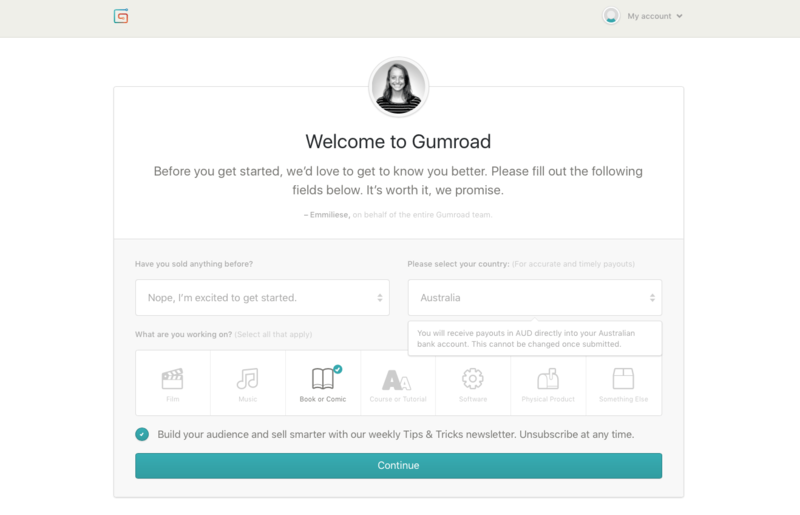 From a tax point of view, Gumroad supplies your eBook to your customers, not you. This means that Gumroad handles all the VAT stuff for you. Nice! What else can you sell with Gumroad? Music and videos (you can even upload several MP3 files per product to create albums). Subscription content, where people pay regularly for content that you email to them. Membership content, where people pay regularly for access to a content archive. Physical products, such as CDs and T-shirts. About the only downside of using Gumroad is that they take a fairly hefty percentage of the sale compared to, say, PayPal or an internet merchant account. However, if you want an easy, hassle-free way to sell your digital products then I’d say it’s worth paying the higher fees for the Gumroad experience. Pay no monthly fee, and pay 8.5% + 30 cents per sale. Pay a $10 monthly fee, then pay 3.5% + 30 cents per sale. You also get some other perks, such as removing the Gumroad branding from your sales emails, custom product delivery options (so you can handle fulfilment yourself), and more. Obviously, once you start selling more than a handful of eBooks per month, the $10/month option is a good way to go! For example, if you sell 50 eBooks a month at $20 each, you’ll be paying $100 per month with the first option, and $60 per month with the second. It’s worth pointing out that the $10/month option is for up to 1,000 unique customers per year. If you have more customers then the monthly price goes up accordingly. Now that you know the pros and cons of Gumroad, you’re ready to start selling your first eBook! The following steps show you how it’s done. 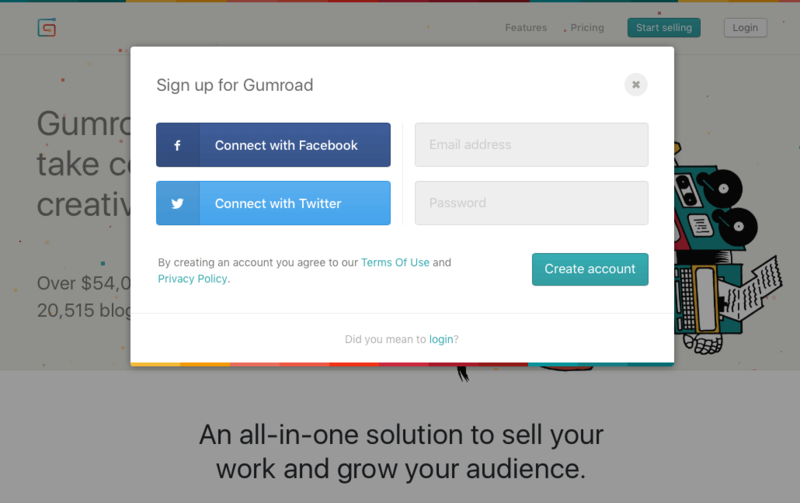 To sign up for Gumroad, just click the green Start selling button and enter your details. You can, if you like, upgrade to the $10-a-month plan for lower transaction costs. Enter basic information about yourself. Since you’re selling an eBook, select Book or Comic. 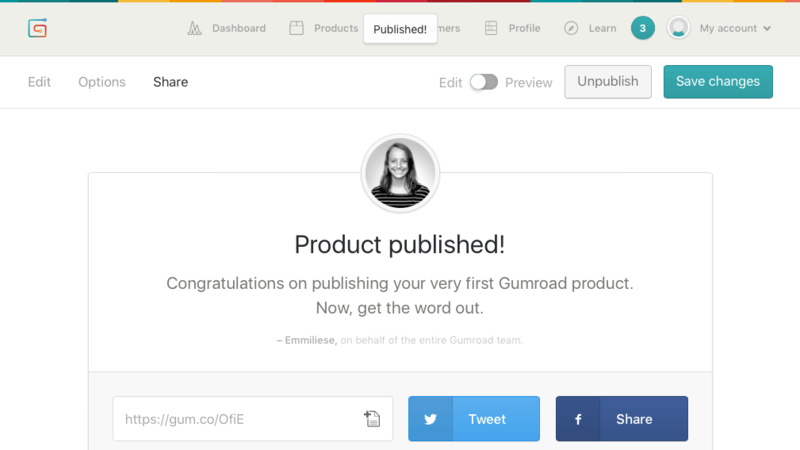 On the “Get Started” page, click Add a product to start adding your eBook to Gumroad. 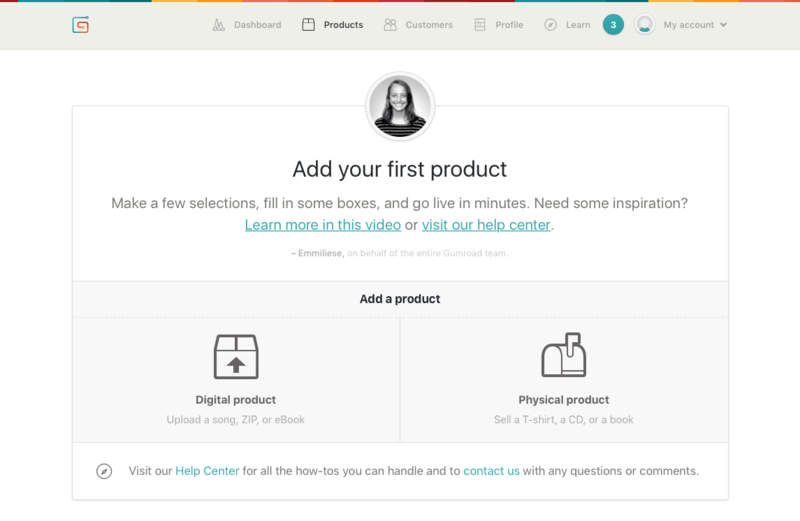 On the “Add your first product” page, click the Digital product button. 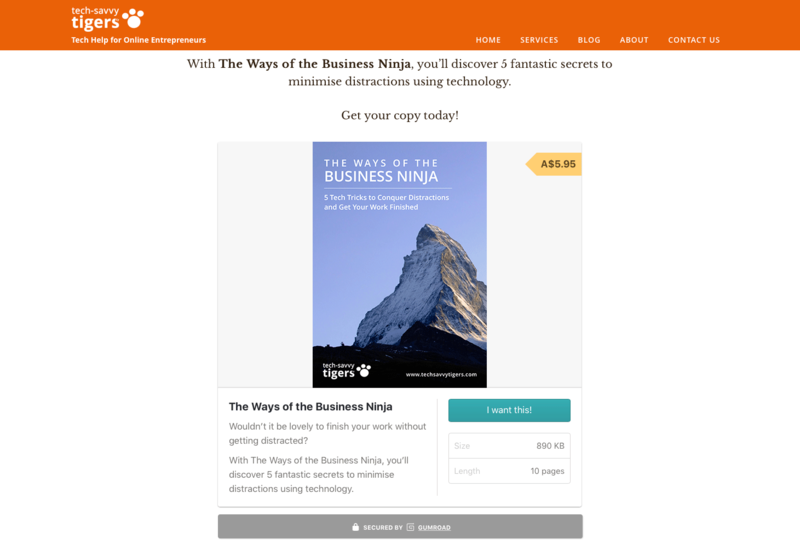 Product lets you start selling your eBook immediately. 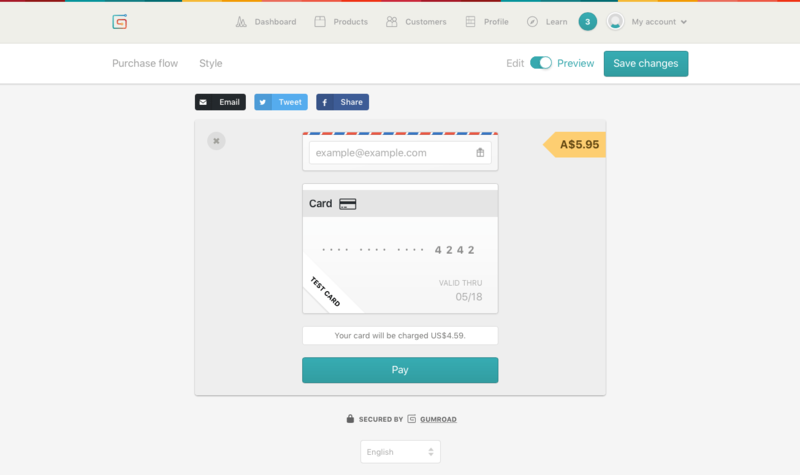 Subscription lets you set up recurring payments for your product. This is great if you’re selling access to a membership area, for example. Pre-order lets you start taking orders before your product goes on sale. 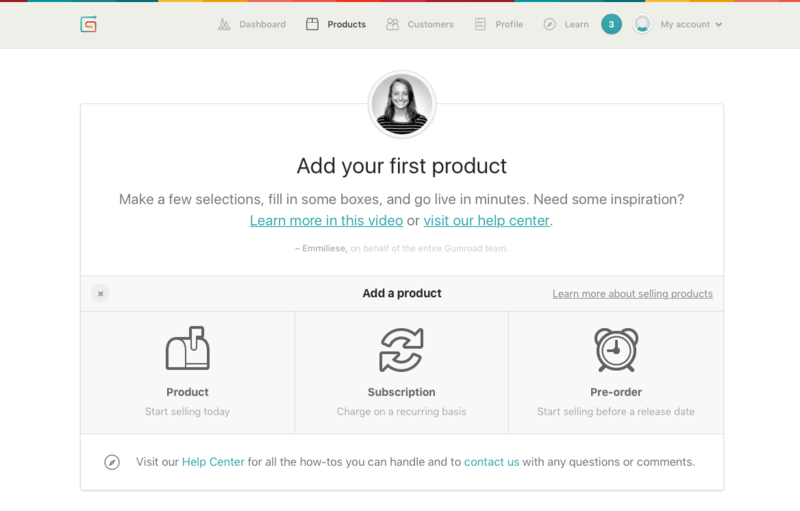 Gumroad lets you create three kinds of things for sale: products, subscriptions, and pre-orders. Since you already have an eBook to sell, click the Product button to continue. Enter the title of your product in the Name of product box. This name will appear wherever your product is offered for sale on Gumroad or your own site. Enter the price in the box next to the Name of product box. You can enter any price from $0.99 up to $5,000. You can also click the currency symbol to select a different currency. Click the Choose your files button, and choose how you’d like to upload your PDF file. For example, to upload your file from your computer, click From computer, then select your file to upload. Wait a few seconds while your file is uploaded. To add your eBook, just enter its name and price. Click Choose your files, then click From computer and choose your eBook PDF file. You can change the product name, price, and file later if you wish. Watch out, though: Once you’ve set the currency for this product, you can’t change it later! 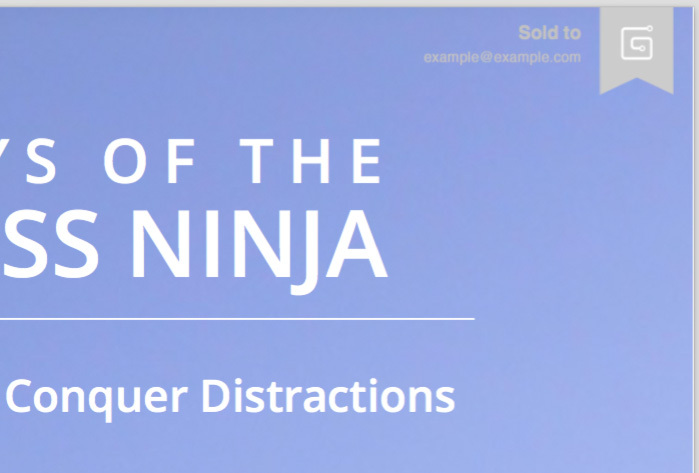 When you’re done, click the Next: Customize button to continue to the next page. On this page, you get to upload a cover image for your product, as well as enter a description. Start by clicking the Upload a cover button, then choose a suitable image file on your computer. For an eBook, you’d usually use the same cover image that you put on the first page of your PDF file. Next, enter a description for your product in the Describe your product… box. This description appears below your product name whenever someone buys your eBook. Adding a cover image and description for the eBook. At the bottom of the page, there’s a Stamp PDFs with the buyer’s information checkbox. If you select this option, Gumroad stamps a small message onto the first page of the buyer’s PDF that says “Sold to (buyer’s email address)”. The idea is to discourage piracy. However, if you find the message intrusive and you’d rather just trust people’s honesty, then feel free to leave this option unchecked! Gumroad can optionally stamp a small message onto the first page of your PDF to reduce piracy. 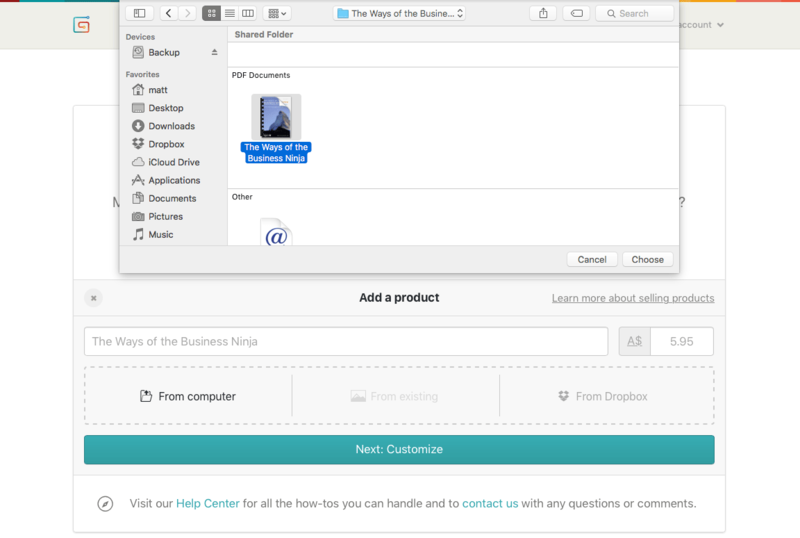 When you’re happy with your cover image and description, click the Save changes button to add your product! Your product is saved, but it’s still in draft form. Before you publish it, you can preview it to see how it will look to your buyers. Flip the Edit/Preview switch at the top of the page to see what your eBook will look like to shoppers. This shows you how your product appears when someone clicks the “buy” button on your site. 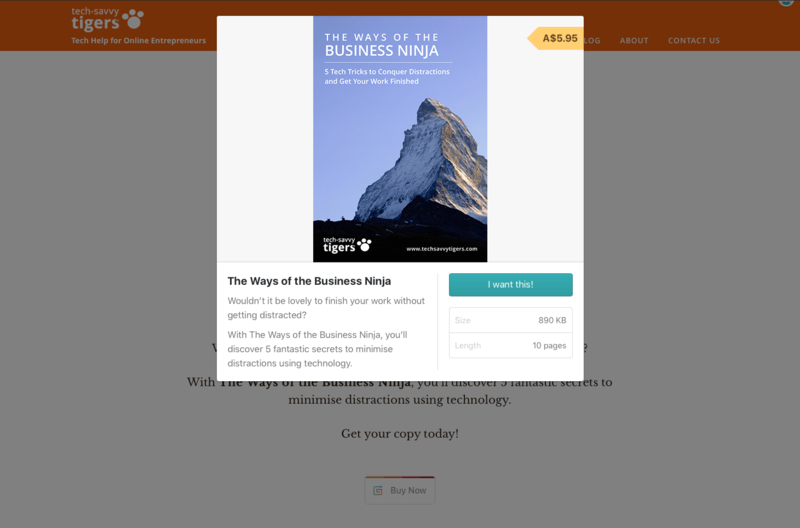 To test out the buying process for your eBook, click I want this! and work through the checkout screens. Once you’ve finished “buying” your book, Gumroad shows you a receipt. 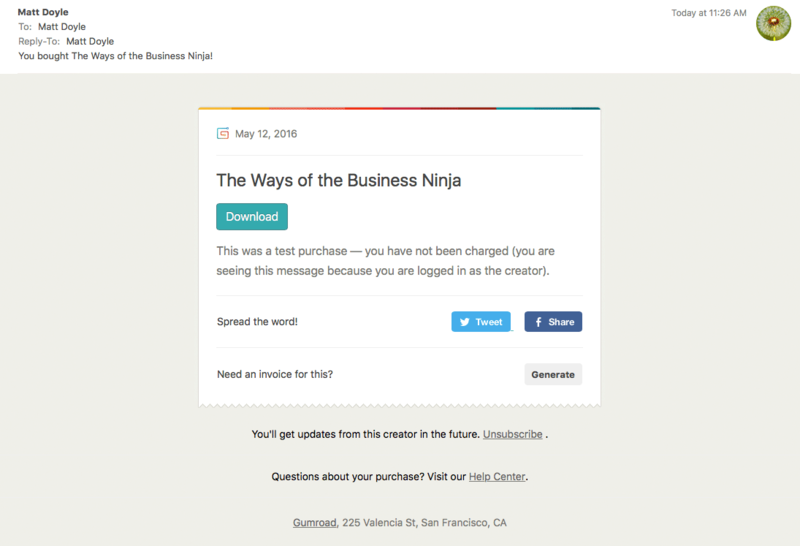 Gumroad also sends shoppers an email for their purchase, including a download button. You can select from five different styles for your Gumroad purchase page. While you’re in Preview mode, you can click the Purchase flow link to move through the purchase screens. You can customise various aspects of the payment process, such as adding extra product attributes, asking for shipping info, and adding a custom thank-you message to the receipt. However, for a simple eBook, you don’t need to change any of these settings if you don’t want to. Once you’re happy with the way your product looks, click the Edit/Preview switch at the top of the page to change back to Edit mode. 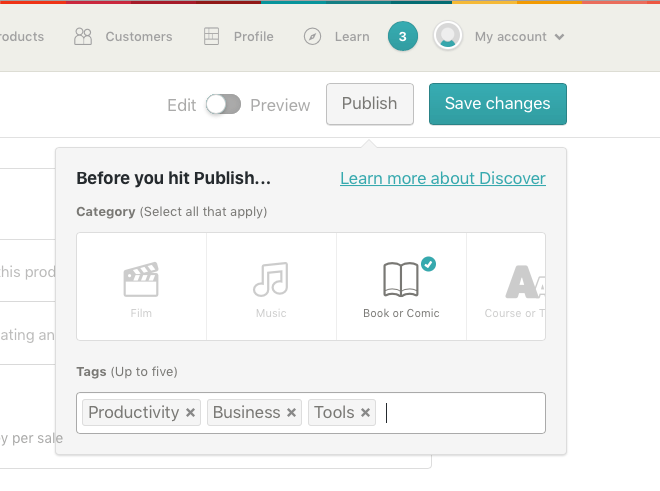 Before publishing your eBook, take a moment to give it a category and tags to help make it discoverable on Gumroad. Once you’ve entered your tags, all you need to do is click the Publish button again to publish your eBook. Your book is now available for purchase. High-fives all around! That glorious moment when your first eBook is published! Now that your eBook is published, you’ll probably want to offer it for sale on your own website. As with everything else, Gumroad makes this process easy! 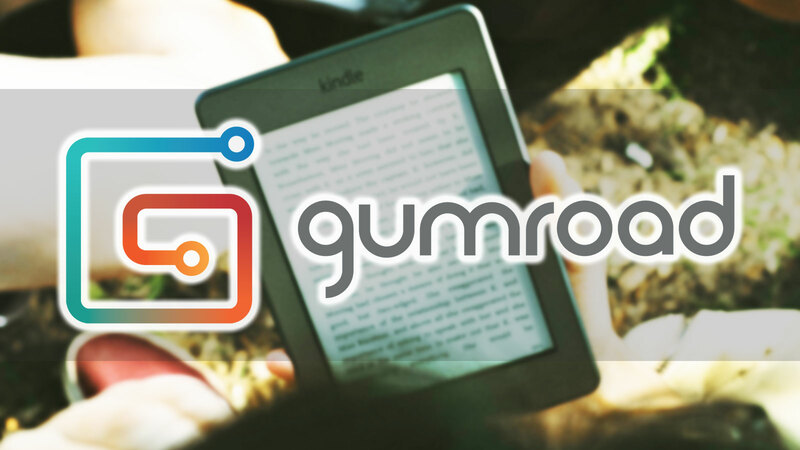 Linking to the Gumroad product page for your eBook. 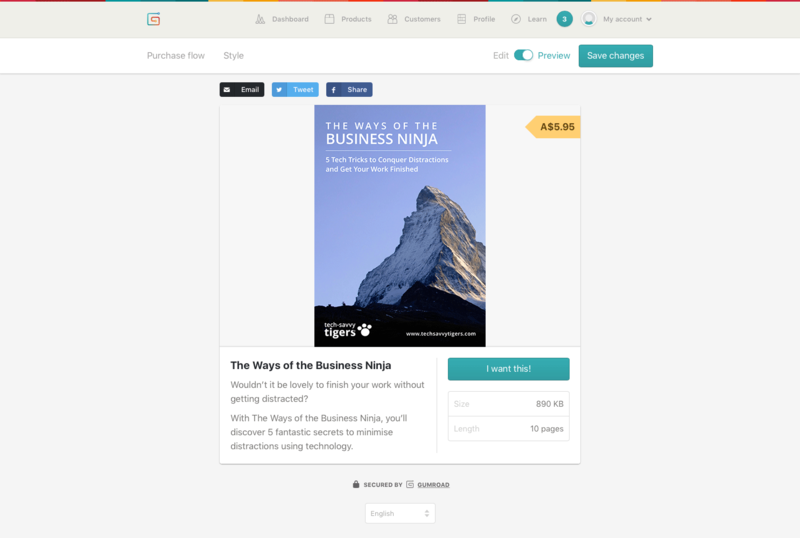 Gumroad automatically creates a product page on its website where people can buy your eBook. You can simply link to this page from your website. The Overlay widget in action. Pressing the Buy Now button displays an overlay on top of the page, allowing shoppers to buy the product without leaving your site. 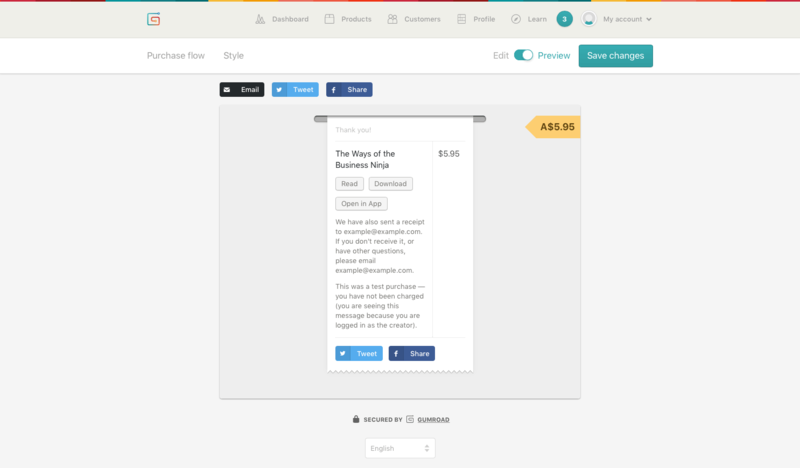 The Gumroad Embed widget inserts your Gumroad product directly into your webpage. Linking is the easiest to set up, since it doesn’t involve adding code or plugins to your site. However, it takes the shopper away from your site and onto Gumroad’s site. This can be tricky if you’d like shoppers to take other actions on your site after purchasing, such as signing up for your list. You can minimise this issue by opening the Gumroad page in a new tab (you’ll see how to do this in a moment). The Overlay widget looks nice; it’s just an unobtrusive button in your page. At the time of writing, it’s also the only way to allow shoppers to buy more than one product at once. However, overlays don’t work on mobile phones; if you’re on a phone then the button simply opens your product on the Gumroad site in a new browser tab. The Embed widget is slightly quicker to use than the Overlay widget, because shoppers don’t have to click the first “buy” button to view and buy your product. It also works on mobiles. However it can also be hard to make it blend in nicely with the rest of your page design, and if you have more than one product in your page then all those embeds can start to look rather unwieldy. For this tutorial, you’ll use the linking method. It’s easy to set up, and you don’t have to worry about getting a TLS certificate on your site. If you do have a TLS certificate or plan to get one, feel free to experiment with the Overlay and Embed widgets as well! To use them, edit your product in Gumroad, click the Share tab, then click either the Overlay or Embed tab and follow the instructions. I’m using WordPress 4.5 in the following steps, but the method will be similar if you’re using another CMS or hand-coding your webpage. Find the URL of your Gumroad product page. 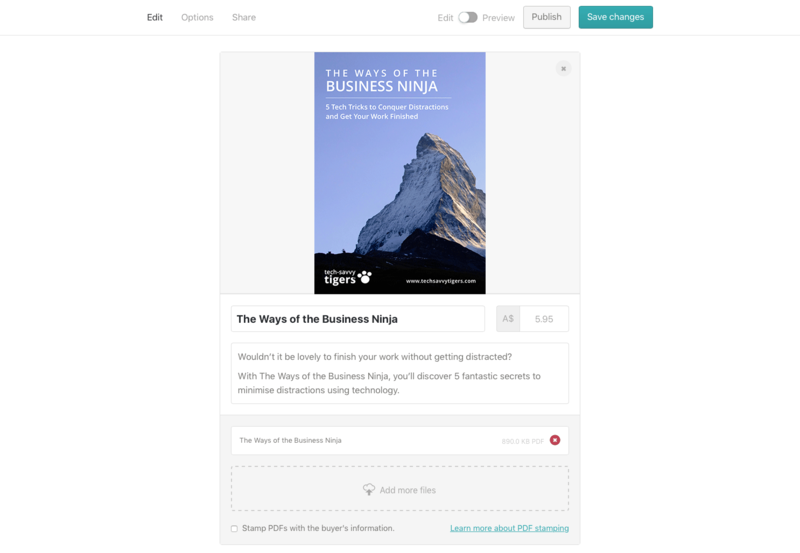 To link to your eBook’s Gumroad product page, first find the URL to link to in the Share tab. Copy the product page URL. Select the URL that you found in Step 1. In most browsers you can do this by triple-clicking the URL (clicking it three times in a row). 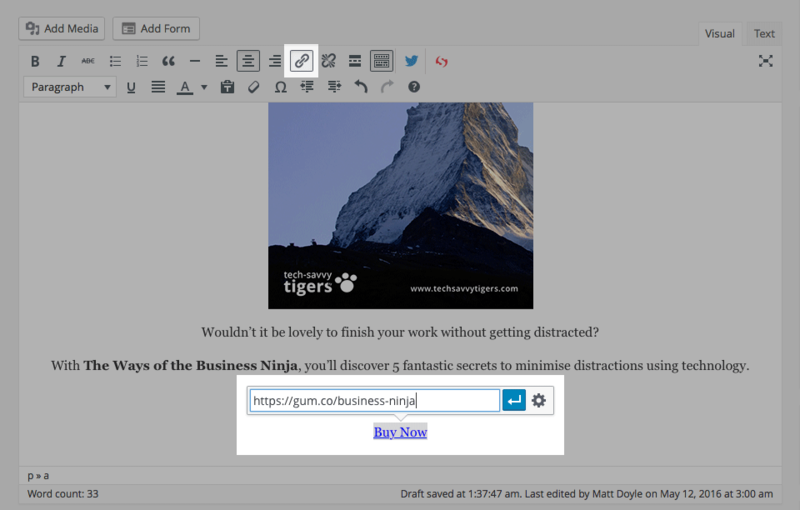 Now choose Edit > Copy in your browser’s menu to copy the URL to the clipboard. Insert the link in your webpage. 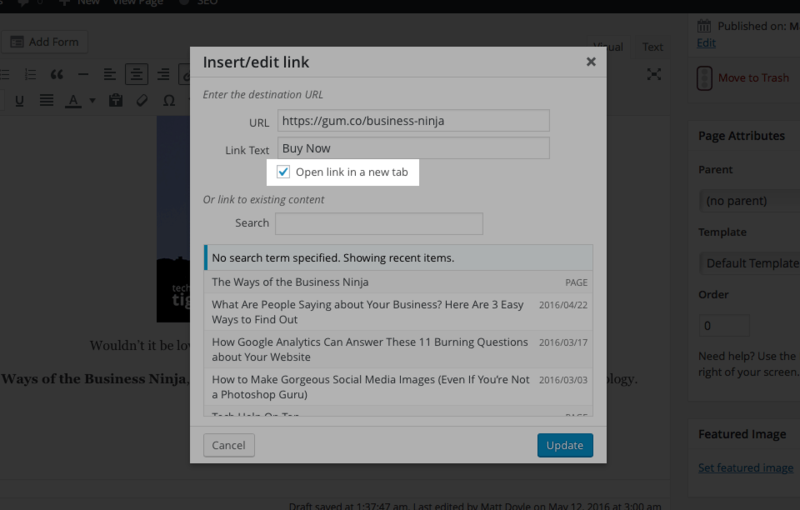 To add the link in WordPress, select the text you want to use for the link, then click the Insert/edit link toolbar button and paste in the URL. Make the link open in a new browser tab (optional). 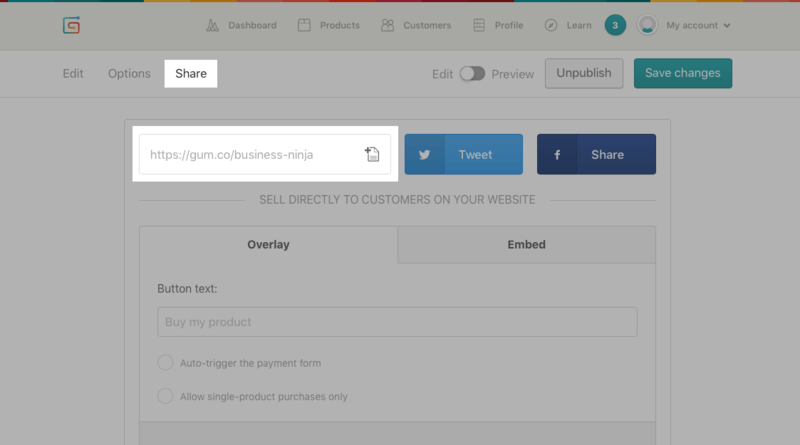 To make your Gumroad product page open in a new browser tab, select the Open link in a new tab checkbox in WordPress. Now press Return to save your link (if necessary). Save your page and view it in your browser. You should see the Buy Now link in the page; click it to open your product page on Gumroad. 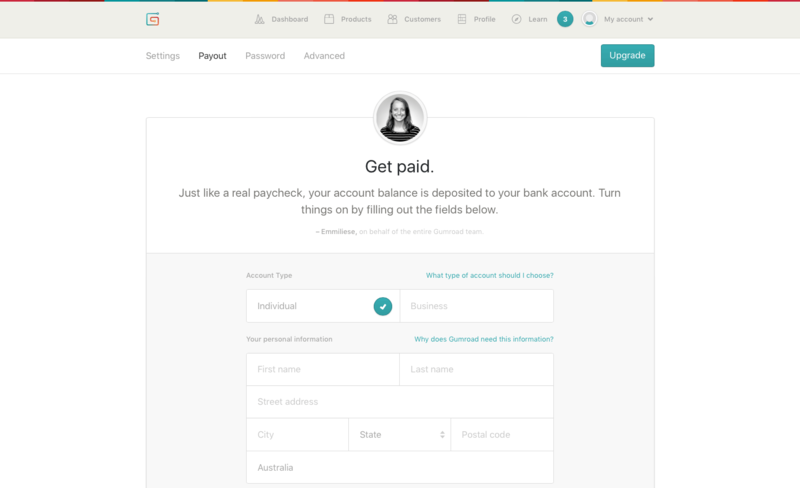 The Gumroad Payout page is where you enter your payment details. The Account Type option at the top of the form gives you two options: Individual and Business. If you’re registered as a business, even as a sole trader — for example, you have a US EIN (Employer ID Number) or an Australian ABN (Australian Business Number) — then you should select the Business option. If you’re just selling your eBook as a private individual, select the Individual option. This will vary depending on your country of residence, as well as whether you selected Individual or Business in Step 2. Generally you need to fill in your name, address and date of birth, as well as your business number (if applicable). When you’ve filled in the form, click the Finish button. You’ll receive an email confirming that you added your bank account. Selling eBooks can seem scary. Not only do you have to find a way to take payments safely online, but you also have to figure out how to do digital delivery, and potentially deal with VAT issues too! 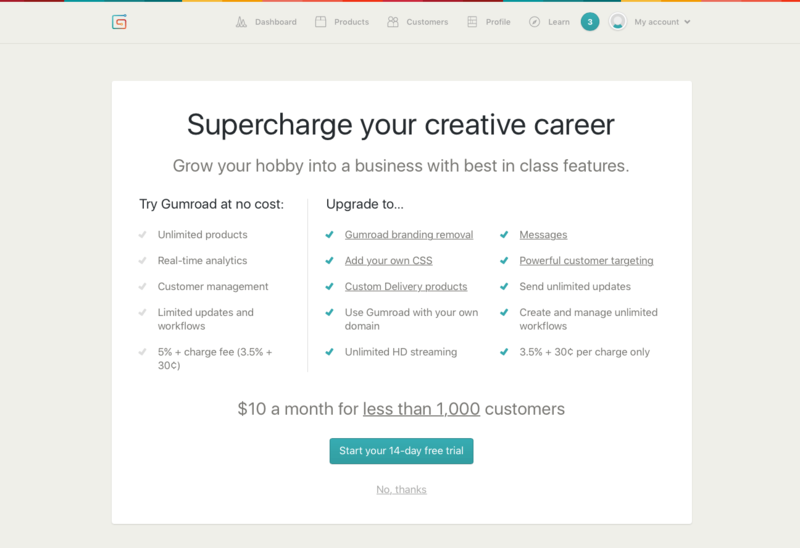 With Gumroad, though, you don’t have to worry about any of that stuff. Gumroad handles it all for you. 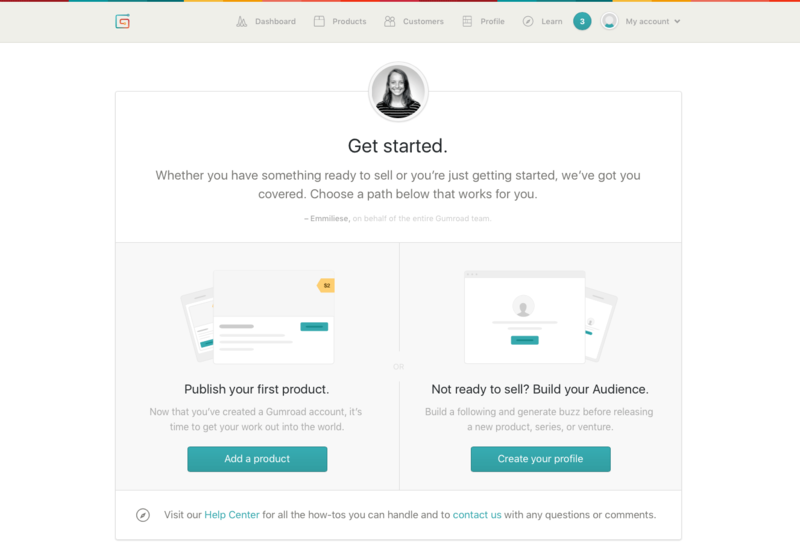 You just upload your eBook, set a few options, add the product to your site, and tell Gumroad how to pay you. It couldn’t be simpler. So what are you waiting for? Start selling your eBook today! Yes, you can publish your book both on Amazon Kindle (KDP) and Gumroad/your website at the same time. However, if you opt to enrol your book in the KDP Select program (for higher royalties etc), then your book must be exclusive to Amazon for a 90-day period. It can definitely be worth trying many different ways to sell your books. All those sales add up! Can I sell ebook from Canada? Many thanks for your very good tutorial. Be blessed! This tutorial has been so helpful to me and my blog, making no comment would mean being unfair. Tech-Savvy, stay blessed TIGERS! Thanks Julius – glad it helped!